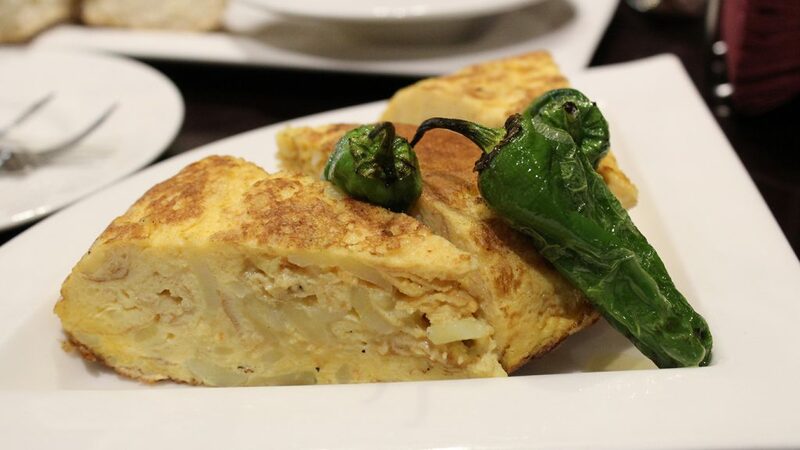 If we were choosing the perfect meal to enjoy with friends, we’d have to say tapas. The ideal way to eat your way around Madrid and towns the length and breadth of Spain. 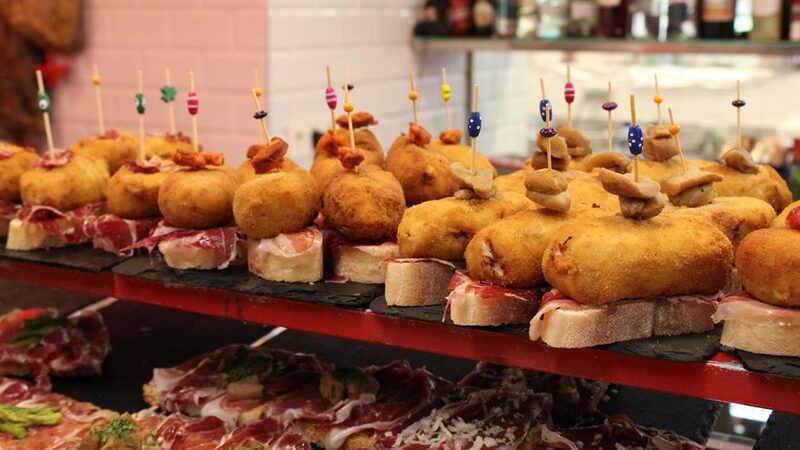 We’ve fallen for tapas in the UK to such an extent that plenty of restaurants here have adopted tapas-style dining too. But nothing is quite like settling down in a charming square with a bottle of wine and a selection of gourmet morsels on a warm Spanish summer evening. One of our favourite things about tapas is being able to try a little bit of everyone’s dish, stopping that awful feeling of food envy when you realise you’ve made the wrong choice from the menu. After all, there’s no need to spend the rest of the meal coveting your companion’s meal if you’re splitting the tortilla, ham croquettes, octopus and prawns between you. Where did this way of eating come from though? Unsurprisingly, there are countless different stories told on their origin, in fact when we started to ask around we realised there are almost as many versions of the story as there are different tapas. From royal trendsetters to unscrupulous bartenders, you can decide what you choose to believe! One of the most repeated legends goes all the way back to the 13th century and King Alfonso X of Castile, ruler of much of what is now modern-day Spain. As the story goes, Alfonso was convalescing from an illness and his doctors advised him to only eat small amounts of food at a time to build his strength. The king grew to enjoy this way of eating though and on his recovery declared that alcohol should no longer be served without a small portion of food to accompany it. As the inns of Castile were notorious for their rowdy and drunken patrons, the decision was a very sensible one. With customers eating as they drank, they ended the night in a much more civilised manner! Another popular idea revolves around the name tapas itself; the word “tapa” in Spanish means cover. Some say that tapas were first invented by enterprising bartenders covering drinks with a saucer to stop flies getting in their customer’s drinks on sweltering Spanish days. It then made perfect sense to give their loyal customers some cheese or olives or perhaps even a sliver of tasty jamón. Others point the finger at a somewhat less scrupulous bar owner in the 16th century: upon realising he could mask the low quality of his wine with a morsel of strong cheese or ham, he began to serve it this way to “cover” the taste. Luckily nowadays Spain produces some of the world’s most drinkable wines, so your tapas should just be complimenting the taste of your drink, not masking it. Going back to regal theories, some say that another King Alfonso was passing through the delightful Andalusian city of Cadiz in the late 19th century. That part of the Spanish coast is famous for its blustery weather so, not wanting the monarch to get sand in his drink, the bar owner placed a piece of ham over the top to cover it from the wind. This tickled the king’s royal fancy and when he ordered his next drink, he asked for it “with the cover” or tapa. As often happens, he unwittingly started a trend as his subjects mimicked his order and the fashion spread. You can hear dozens more variants on these stories, but whatever their origins, our passion for tapas shows no signs of slowing! So, head to Madrid, Salamanca and Toledo to eat your way through some of the best tapas in Spain, or visit Seville for an included sampling of authentic tapas. And as for whoever invented them – ¡muchas gracias! We are Riviera Travel’s very own foodie specialists. Travelling across Europe and the world over, we love to uncover those hidden treats tucked away in the tastiest corners of the earth, and offer our specialist insights into the cultures that create the world’s finest culinary offerings.